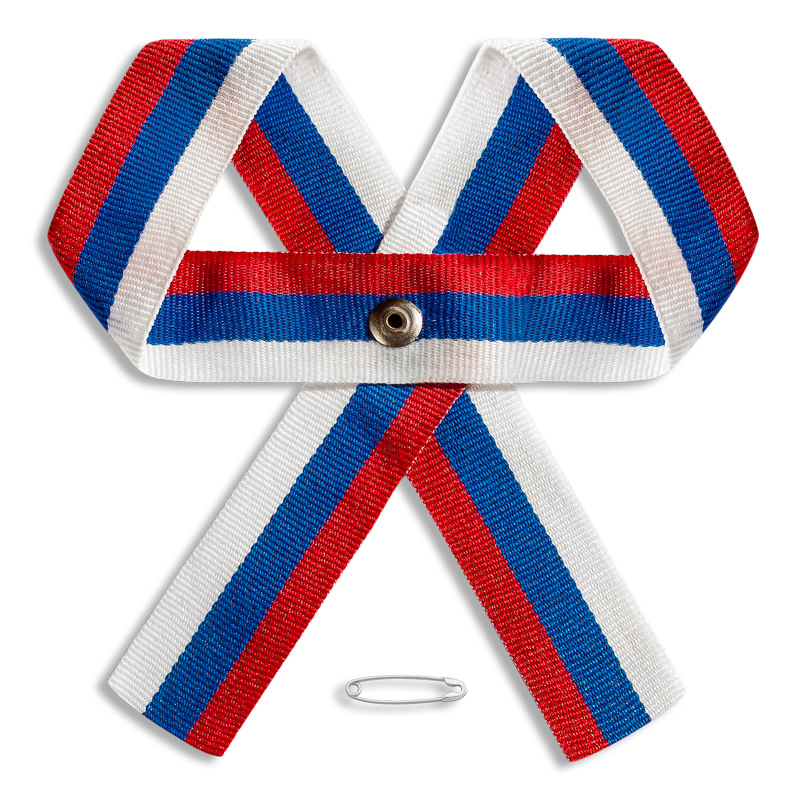 Tricolor Bow is delivered in individual packing (12 cm * 19 cm) with a nested clip (pin). Patriotism manifests itself not only in maintaining the memory of past achievements, but also in celebrating the modern state. The best option for this is Russian flag symbol. 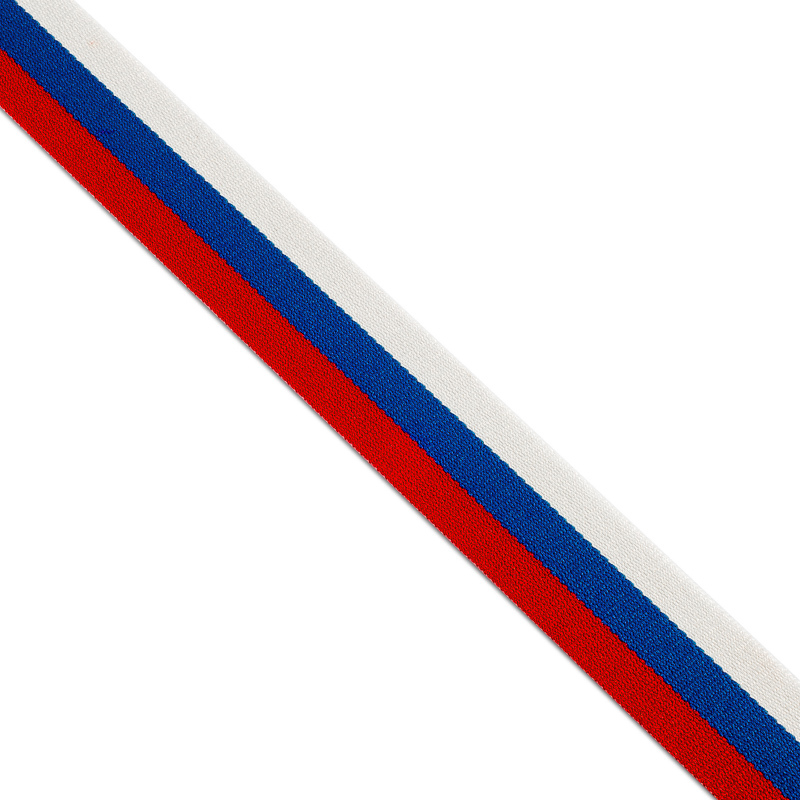 Tricolor ribbon-bow will decorate the official event with unobtrusive signs or you can pin it to clothes to show pride in the country. Unlike paper products, polyester yarn fabric produced by pneumatic connection technology is distinguished by its high durability, moisture and burn-out resistance. The combination of these factors allows the product to maintain the brightness of the paints and the permanent appearance for a long time. The length of the section is 500 mm. Product composition – Tricolor Ribbon is made up of two identical loops, fastened with metal rivet and burr. Fastening to clothes, bag or decor elements is carried out with a safety pin. The edges of the ribbons are thermally treated to prevent material from dissolving and fringe formation at the ends of the product. 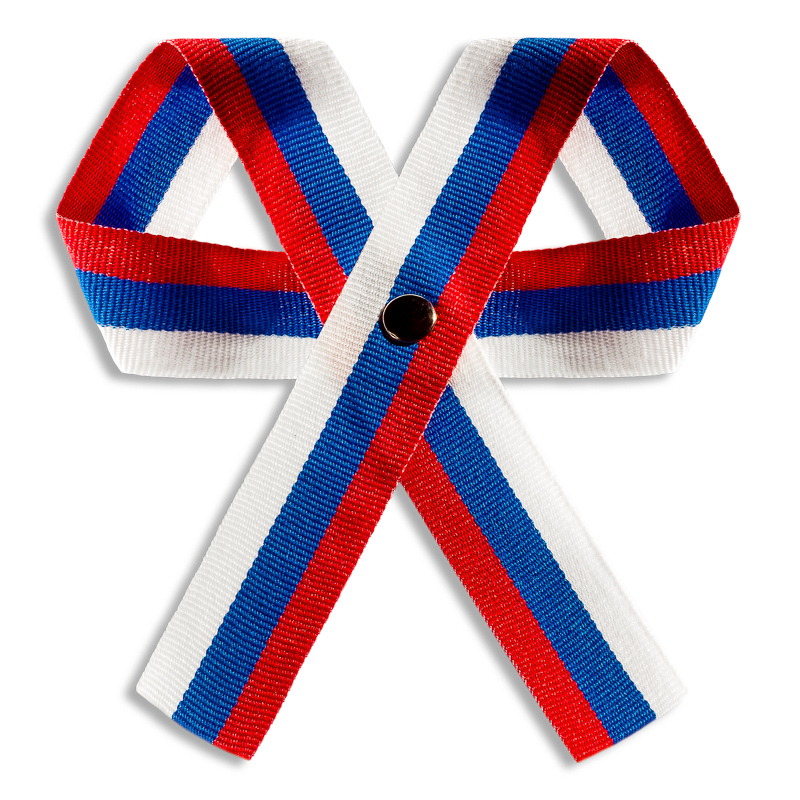 Customers who appreciate high quality products are invited to buy a bow Russian ribbon at a favorable cost. Initially, the low price decreases with an increase in the number of items in the lot, which makes the purchase more profitable.